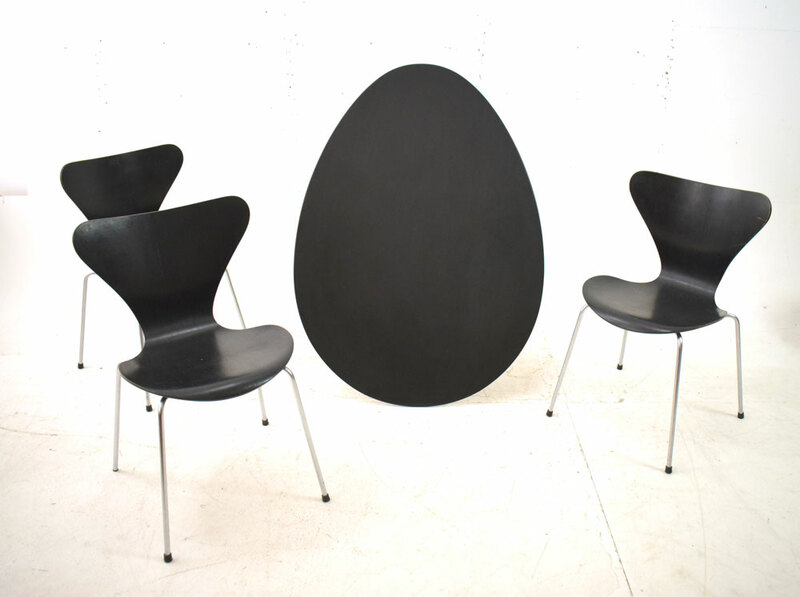 Original black 'Egg' dining table by Arne Jacobsen. 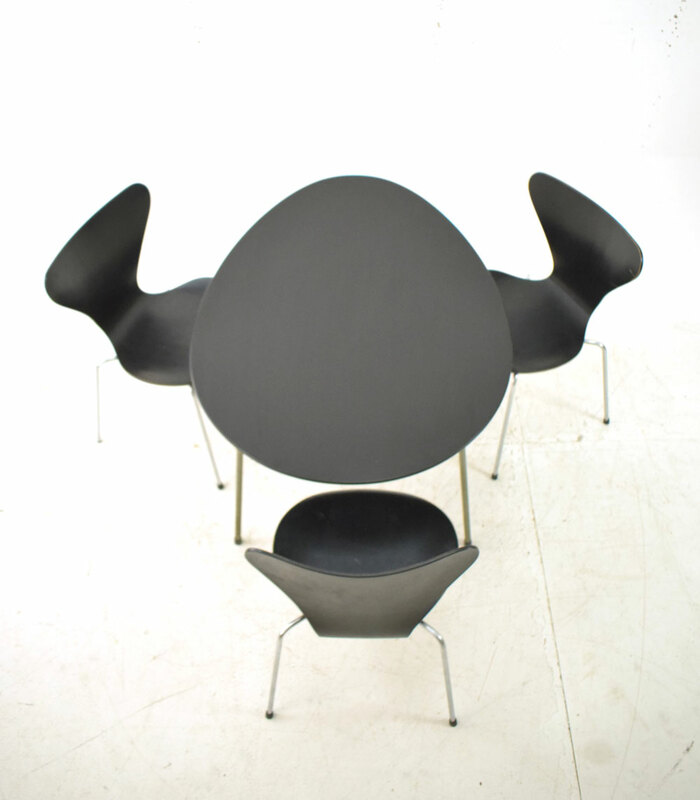 Produced by Fritz Hansen. 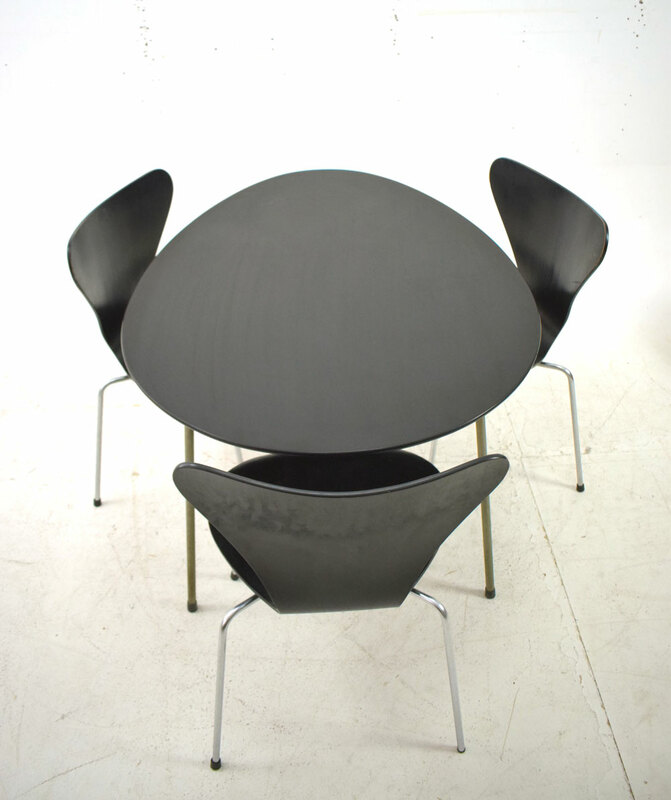 This lovely dining table is the perfection of simple design using elegant materials and achieving a light yet strong and durable table. 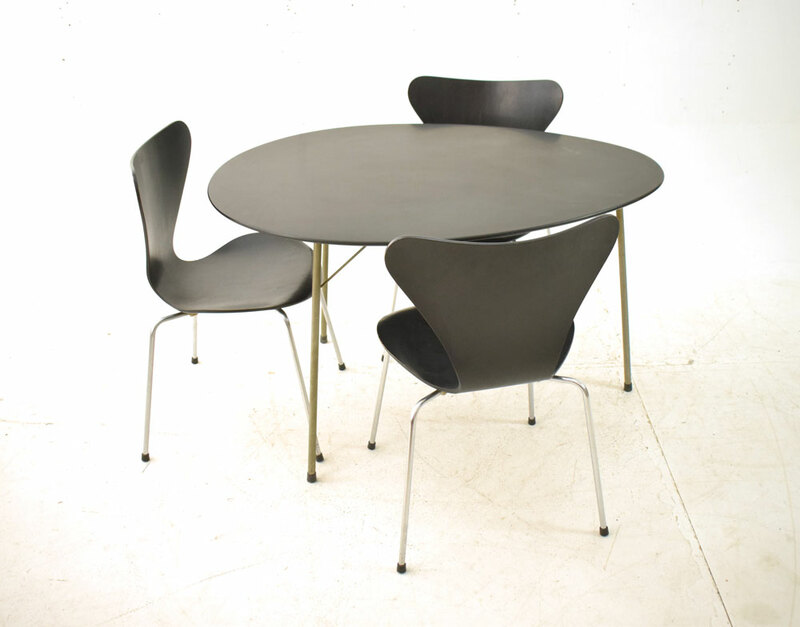 The minimalistic design of the table allows it to work in a multitude of settings. 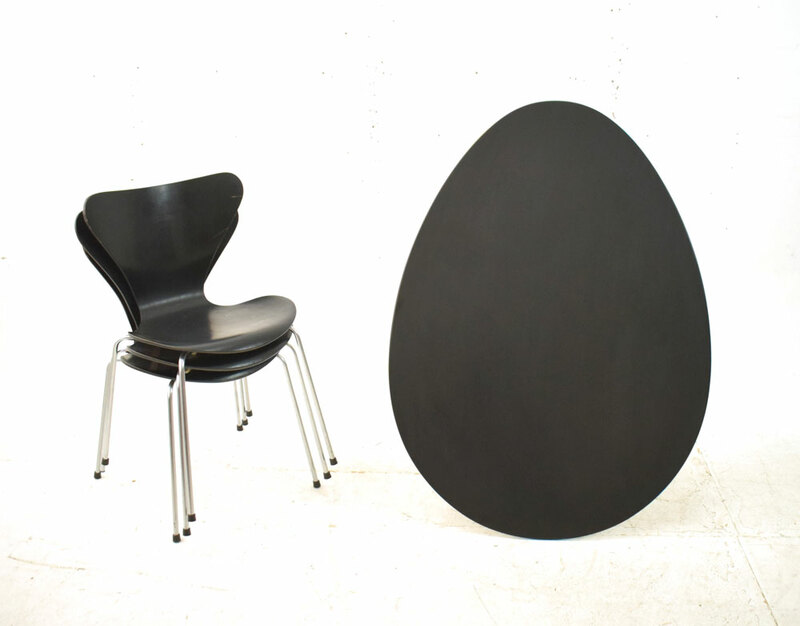 From a light colour dining room, to a larger kitchen, the Egg table adds a taste of Danish midcentury modern minimalism. 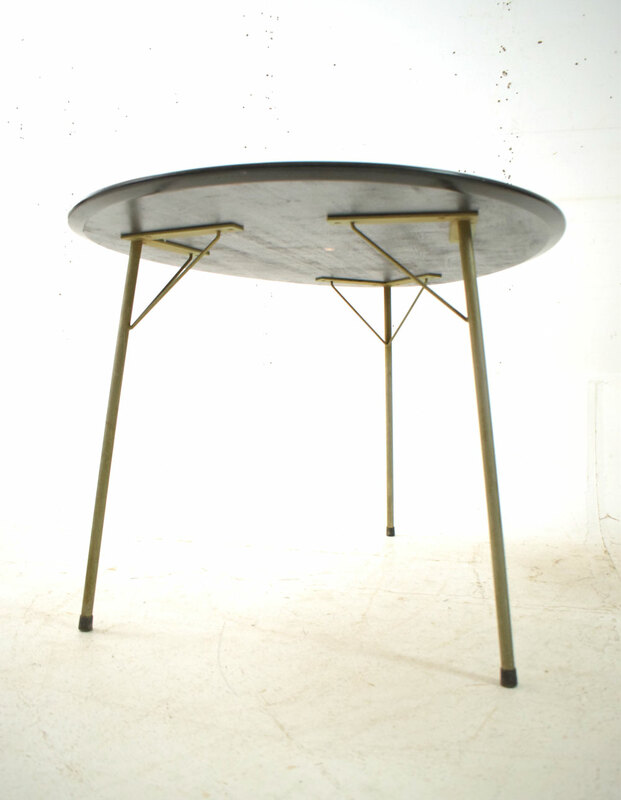 The table is supported by three metal legs with black plastic feet. 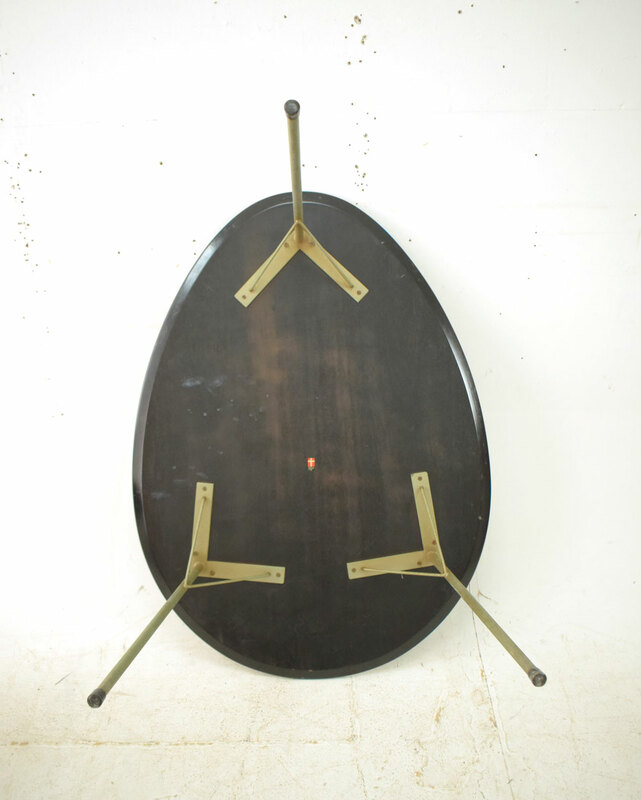 Condition: Beautiful with lovely even patina. Minor signs of use & age present on table top and legs. 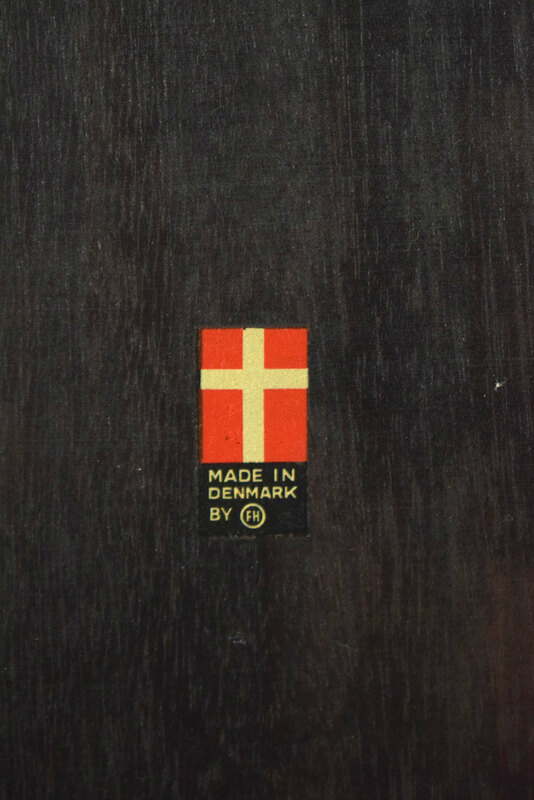 The Fritz Hansen maker's mark is located on the underside. 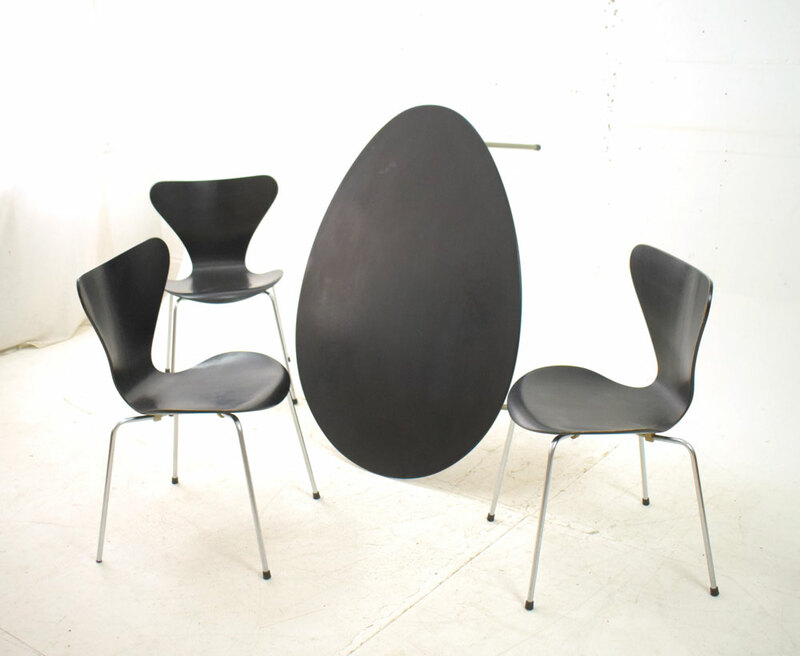 Matching model 3107 series 7 chairs sold separately.